Google today kicked off its annual I/O developer conference in Mountain View, California, beginning with a keynote where the company announced Google Assistant for iPhone, new Google Home features including the ability to stream Apple Music via Bluetooth, and new photo sharing features in Google Photos. 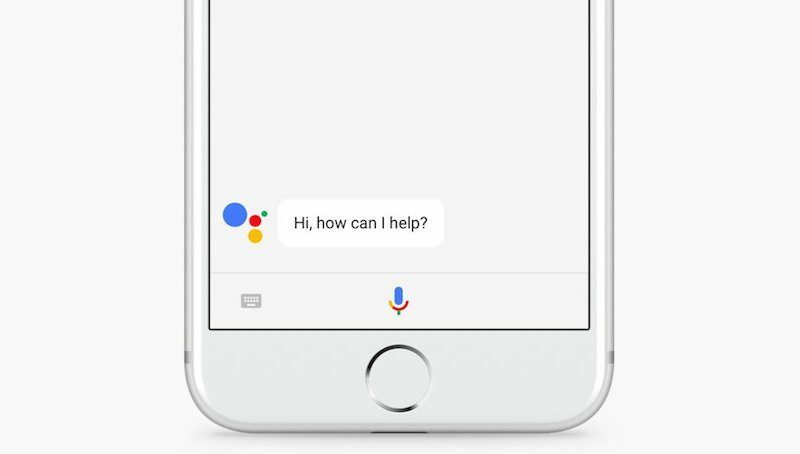 As it was rumored earlier this week, Google today announced that its AI helper Google Assistant is out now for iOS as its own standalone app [Direct Link]. This way, users will be able to chat with Google and gain access to all of its interactive features without needing a Pixel or Android smartphone. The company also revealed that Google Assistant will be gaining new chatbot abilities and integration with a new technology called Google Lens, which enhances a smartphone's camera with AI learning. As an example, Google showed a demo where a user took a picture of a business's sign, and gave them reviews, menu items, friend check-ins, and more. Other examples include the camera's ability to identify what a user is looking at, such as the species of a flower, or connecting to a Wi-Fi network by taking a picture of a sticker on a router. Google highlighted a few new abilities coming to its smart home speaker Google Home, including personalized assistance features that will keep on top of each user's schedule. With the help of Google Assistant, Google Home will light up and warn users that they might be late for an upcoming appointment due to traffic or flight delays, and tell them when to head out accordingly. Hands-free calling is also coming for free on any landline in the United States and Canada, and can be activated by saying something like, "Hey Google, call mom." Google Home also supports multiple accounts and will learn the voices of each person over time, automatically adjusting certain commands depending on who is speaking. By the end of the year Google Home will launch to users in Australia, Canada, France, Germany, and Japan. Integration with Spotify's free music service, Soundcloud, and Deezer is coming so users will have more music listening options. The addition of Bluetooth support will greatly expand audio playback as well, meaning anyone with an iOS, Android, or any Bluetooth-supported device can stream audio from the handset directly to Google Home. This way, users can now stream Apple Music on Google Home. Visual responses with Google Home will speak directly with other Google products, like a Chromecast device, and let users check out their upcoming appointments or look at the weather forecast by simply asking Google Assistant on Google Home, and seeing the info on their TV. For Google Photos, the company announced major sharing options coming to the photography app, including smart search and automatically curated albums, similar to Apple Photos. "Suggested Sharing" will use machine learning to remind users to share photos from a party or family gathering, smartly picking out the best pictures and sending it to other users on Google Photos. The receivers can see the shared photos in a new "shared" tab in the app, and anyone not on Google Photos will be able to get a text message or e-mail invite to check out the pics and save them to their phone. Further expanding on the sharing abilities of Google Photos, users will be able to share entire photo libraries with friends and family to collaborate and interact with their photo albums. The updates aren't just for digital photos either, with Google announcing a new feature called Photo Books. Similar to companies like Shutterfly, Photo Books will send users real albums filled with photos taken with their smartphone. Using Photo Books, users can select a variety of pictures, have Google Photos intelligently detect the best shots, and create a twenty-page softcover ($9.99) or hardcover ($19.99) book that's sent to them in the mail. Google announced Smart Reply is coming to Gmail on iOS, suggesting to users three responses based on the email that was received. Users can tap and send the reply right away, or edit it, and Google said that over time Smart Reply will figure out each user's preferred method of responses. So, for example, it'll be able to tell "if you're more of a "thanks!" than a "thanks." person." Throughout the keynote Google covered a variety of other topics, including new streaming options for YouTube, ongoing VR initiatives with Google Daydream, and detailed updates coming to Android. More information about the announcements, and what else is coming during the remaining days of I/O, can be found on Google's website. I have no doubt Google Assistant is better than Siri. But how is this useful at all on iOS? Who is going to open an app just to use the assistant? Not interested at all, but that's me. Have you seen Apple keynotes lately? I think it's working just fine! Airpods, MBP, SSO for Apple TV, Universal clipboard, etc. We've seen them, there were actually exciting products and features in them. Where were you? People like me who have given up on Siri. She is absolute garbage. Me: Send a text to NAME that say's I'll be home by 5. Siri: I'll send a text to NAME that says Beehive. Siri: Sorry, I didn't get that. Me: Repeat process five times until it works. Me: Call "NAME Framing Shop"
Me: Find All Chay Vietnamese. Siri: Sorry, I don't recognize that. Google finds the last two every time, the first time. Cool, more stuff that'll be obsolete & ditched in 1 - 2 years. Google is so far ahead of Apple in Ai its not even funny and Apple can't catch up unless Google makes a major error. Every day their AI will get smarter and learn new skills because of all the data they collect. Google has always been an ai company, search was just a means to an end. I recently switched to IOS and none of these announcements make me want to switch back but Apple may start to see their fortunes change as AI becomes a normal part of every day life. What AI? We dont have AI..Its pre canned responses to search queries that are already on the internet..